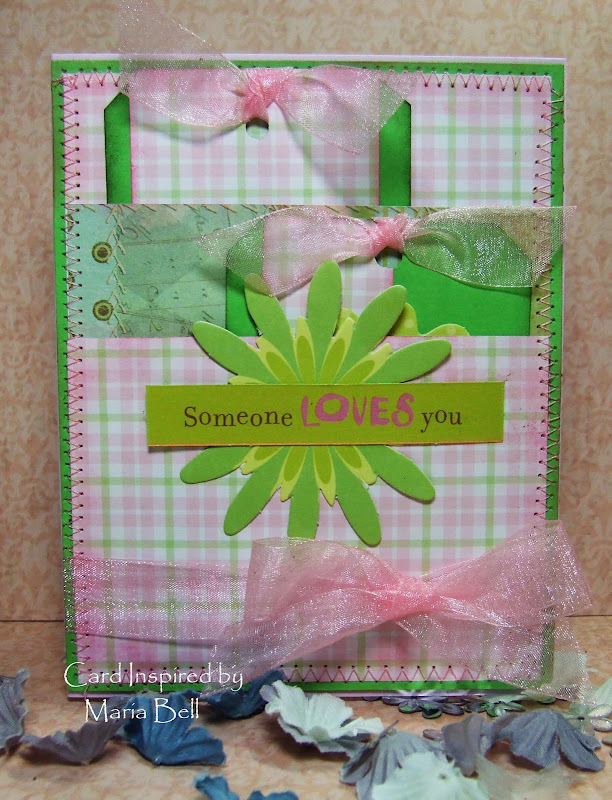 Wow....about a great idea for using up your scraps! Your dbl. tag card is awesome and TFS the tutorial! Another beautiful double pocket card. Right now my craft room looks like a tornado hit it, I'm working in there & keep throwing things all over both tables & don't have time to clean it up, I hate the way it looks right now. It's amazing I can find anything in all that mess & I hate working like that, well I guess I know what I'll be doing after the wedding!